With a growing number of Australians each year choosing to work from home, a functional and effective office space is becoming a necessity for many families. If you’re looking for a tailor-made design that complements your existing décor whilst providing unique storage solutions for all paperwork and technology, then the talented team at Spaceworks Design should be your number one choice. We take each and every aspect of your needs into consideration – including your personal taste, architectural style and the amount of space needed for your home office. By working closely with you, we can find custom solutions for any issues that arises. 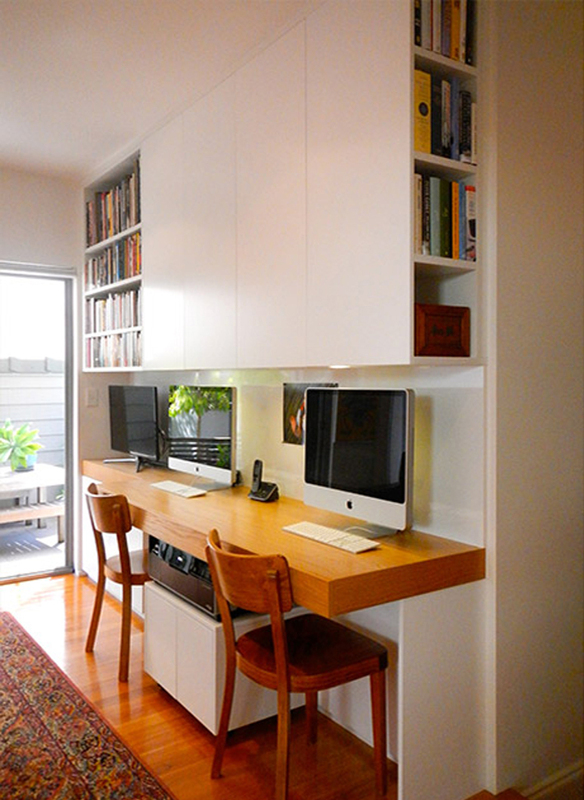 If you need a space saving study, we can tuck your office comfortably behind bi-fold doors. If you need to shield your computer screen from the late afternoon sun, then roller blinds may be the ideal choice. 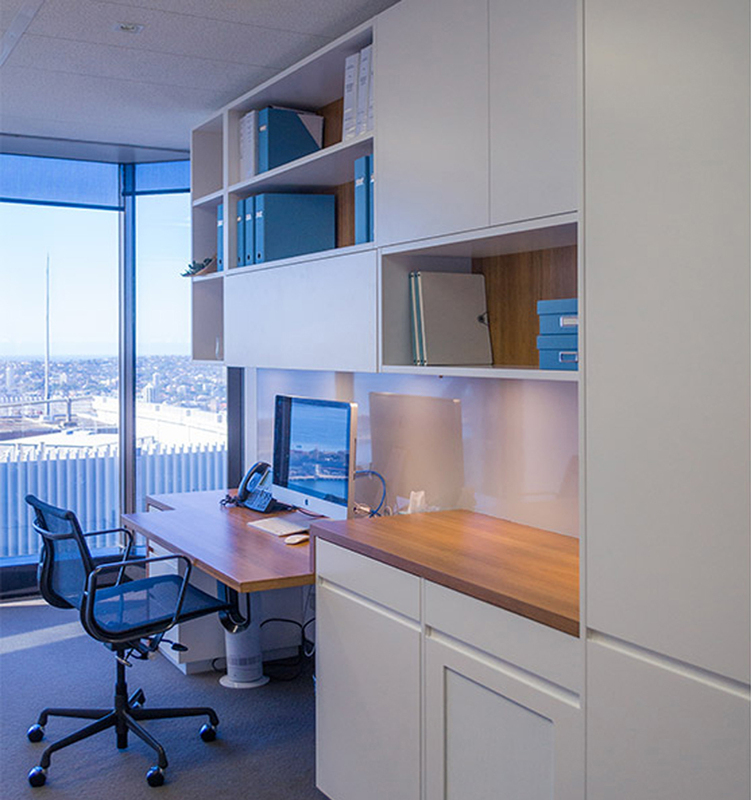 Regardless of your needs, we use beautiful design ideas to create an ergonomic space to enhance your productivity.